Living on the verge of Sherbrooke Forest it’s understandable why Alex Maisey is attracted to the natural world. Ever since his first outing with mentor Jan Incoll at age 11, Alex has had a fascination for birds, specifically lyrebirds. That fascination has led to becoming the convenor of the Sherbrooke Lyrebird Survey Group, a PHD on the impact lyrebirds have in their ecosystem, and most recently a nomination for the Environmental Sustainability Award as part of the 2019 Young Achiever Awards. From a young age Alex displayed a passion for wildlife, and would regularly take trips into the forest with Ms Incoll. “I joined the group when I was 11-years-old so I was still in primary school which meant I had to go to school five days a week which I wasn’t too happy about,” he laughed. “I’d go into the forest on my weekends and that’s when I convinced my parents that they should let me be home-schooled…that gave me five to six days a week where I could go into the forest. The Sherbrooke Lyrebird Study Group formed in the 1950s to protect and observe the superb lyrebirds in Sherbrooke Forest and is one of the longest running volunteer groups managed by Parks Victoria. Over the years the group has built up an important database, monitoring the bird numbers, learning about the bird’s ecology and understanding the challenges the birds face in a peri-urban environment. “When I started in 2000 we had 20 males and in the last count we had there were about 64, so it’s well and truly more than doubled and closer to the carrying capacity of the forest,” he said. Awarded to a nominee for demonstrating environmental leadership or contributing significantly to a sustainable Victoria, Alex’s extensive resume gives reasonable insight into why the student was handpicked by a university colleague for the award. 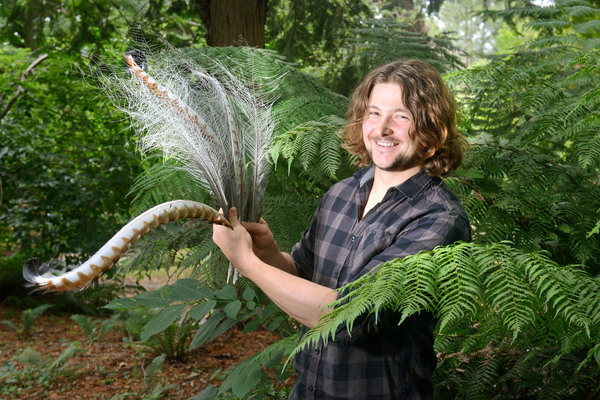 “At the moment I’m doing a PHD on the role lyrebirds play as what we call ecosystem engineers,” he said. “The effects of their scratching around in the litter is massive; they influence the invertebrates, they influence infiltration, they influence seedling growth, they promote germination, but then they’re also scratching up germinates so they are changing and maintaining that forest into a state that would look completely different if there were no lyrebirds. Alex said he was surprised and humbled to be nominated for the award. The awards gala will be held on 10 May.